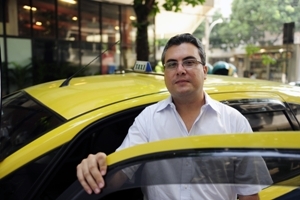 How Can an Employer Keep Taxi Drivers Safe From Violence? Are you a taxicab driver who was the victim of violence while working? You may be entitled to workers’ compensation benefits to pay your medical bills and lost wages. However, you may need to fight to obtain the benefits you are entitled to. Start an online chat or call our office to schedule a free consultation to learn how workers' compensation attorney Manfred Ricciardelli can assist you.